Eric Rozenberg, President of Swantegy, is an entrepreneur, speaker and best-selling author. He even speaks several languages … hence his accent. Swantegy specializes in sales meetings, customer events and incentive travels. Eric is also a Founding Partner of Keyway, which specializes in Customer Advisory Boards, DMO’s Consultancy and unlocking potential in the Hospitality Industry. Eric holds several degrees from Warocqué and Solvay Business Schools in Belgium and from INSEAD and MIT. While studying business, he began traveling extensively and interacting with other cultures through his time with AIESEC. For the past 20 years, Eric has travelled the world, running projects in more than 50 countries worldwide and consulting for Fortune 500 companies across many different industries. Eric was the first European to become Chairman of the International Board of Meetings Professional International (MPI) and is a current member of Entrepreneurs Organization (EO). 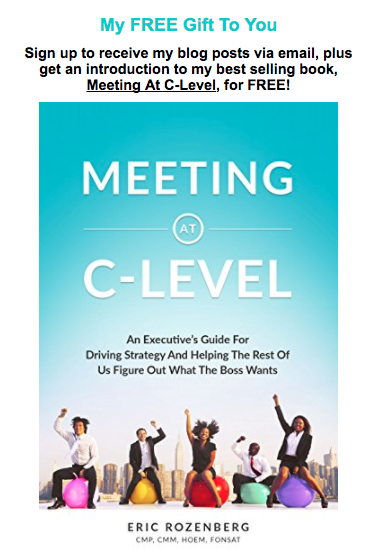 His first book, Meeting at C-Level – An Executive’s Guide for Driving Strategy and Helping the Rest of Us Figure Out What the Boss Wants, was endorsed by twenty of the most influential people in the Meetings and Events Industry and is a best seller. When not sleeping on a plane or in a hotel, he enjoys time with his family and the paradise of South Florida. Eric can be reached on LinkedIn or on Twitter @yoda18.